Using Dryfta API, you can create your own apps and integrate Dryfta platform with third-party web applications. However, most customers are not able to make use of APIs due to lack of developer resources and funds. Zapier makes it very easy for customers without technical know-how to use Dryfta API for automating workflows between Dryfta and third-party apps. Zapier is a task automation tool which connects Dryfta with other web apps eg. Hubspot, Salesforce, Mailchimp etc and automates workflows between them. With Zapier, your data is moved between your apps automatically so you and your team can focus on more important work. 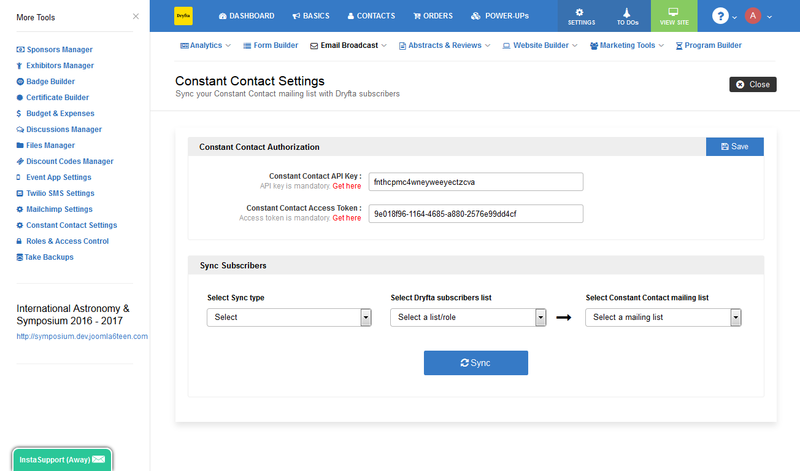 For example, to move contacts from Dryfta to Hubspot CRM, simply connect these apps using Zapier’s triggers & actions and it would automatically sync data between Dryfta & Hubspot every 15 minutes. The Dryfta event app for iOS was launched last week. With this update, we have covered one of our major milestones. Similar to our Android app, for organizers, the iOS app includes the ability to send push notifications to attendees, a QR code scanner to scan QR codes to checkin attendees to event and sessions. Also, it is automatically synced with the website data in real-time so whatever updates organizers push to the website would be synced and displayed on the app as well. 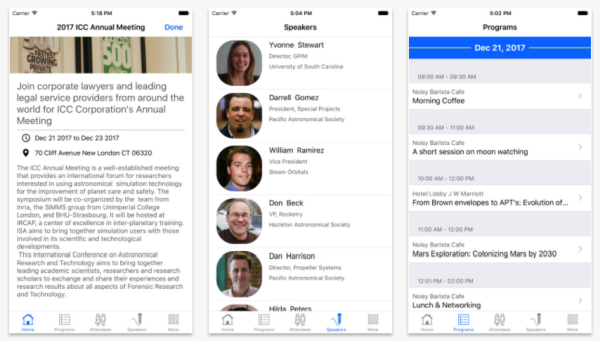 For attendees, the iOS app has a program schedule page listing program agenda, ability to connect with an attendee and request their contact details, scan fellow attendees’ badges to collect contact details, view speakers details, browse general information pages, and engage in forum discussions. If you wish to try the iPhone app, please download it from the app store. To see the latest features added and improvements made to the Dryfta event platform, go to our System Status page. Dryfta offers a free trial account for 30 days to all universities and non-profits to try the platform with up to 30 free registrants. Get your own conference platform! Organ Preservation Alliance is helping to bring about a world in which organs and tissues are as durable outside the body as they are inside it – with profound implications for science, medicine, and millions of patients around the globe. Here’s a quick interview with Mark Severs, Operations Director, Organ Preservation Alliance, about his experience with using Dryfta event platform for Organ Banking Summit 2017. Need to create a simple pre-event poll? Or a complex questionnaire with dropdowns, multiple choice questions, comment boxes, conditional fields et al? We’ve got you covered. 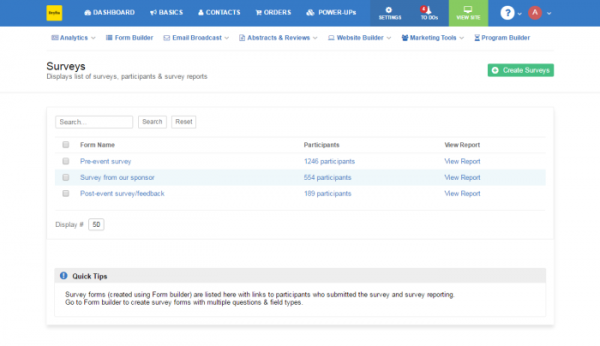 Introducing Survey Manager. It lets you create any type of survey form – from simple to sophisticated – and makes it available to users to participate in the survey (comes with the option to allow only registered users to participate in a survey). As an admin in the backend, you can create surveys and multiple survey questions, view participants and their answers, view reports with numbers and charts viz. how many people chose what answer, which were the top choices, the least-selected choices etc. We have been working on this integration for some time now. Although, this is only the first version of the LinkedIn Company integration with Dryfta platform, we have laid out the basics. In future versions, we would be able to fetch real time news and updates from company pages. However, since this data is coming from a third-party, most of what is possible depends on LinkedIn’s policies related to its data use. In our first LinkedIn company integration, we have created a tool to manage Organizations listings. Admins can add companies under Organizations tab and later use it to add contacts. Organizations also list the companies and organizations as added by users during registration. Each organization would have basic information including country and HQ location along with the complete list of contacts from that organization. Dryfta is an event management platform for universities and organizations. The Constant Contact integration for Dryfta lets event organizers sync subscribers and mailing lists from Dryfta event platform to Constant Contact and vice-versa. Collect email addresses using the opt-in box on your Dryfta powered event website and push these subscribers to a mailing list on your Constant Contact account. That’s the combined power of Constant Contact email marketing and Dryfta event platform, at your disposal! Apart from subscribers, you can also sync name and email addresses of your attendees and speakers to Constant Contact and send email campaigns using the Constant Contact email software. To use the Constant Contact integration for Dryfta, all you need is your API key and Access token. Enter these credentials in your Dryfta dashboard and you’re all set to start syncing your mailing lists and subscribers. Constant Contact integration comes free with a Dryfta subscription. Get your own free conference platform! Get regular dose of latest event tech!